Concept bars are a trend that have swept through hotels around Paris; each one looking to be more extravagant, more enticing than the next. 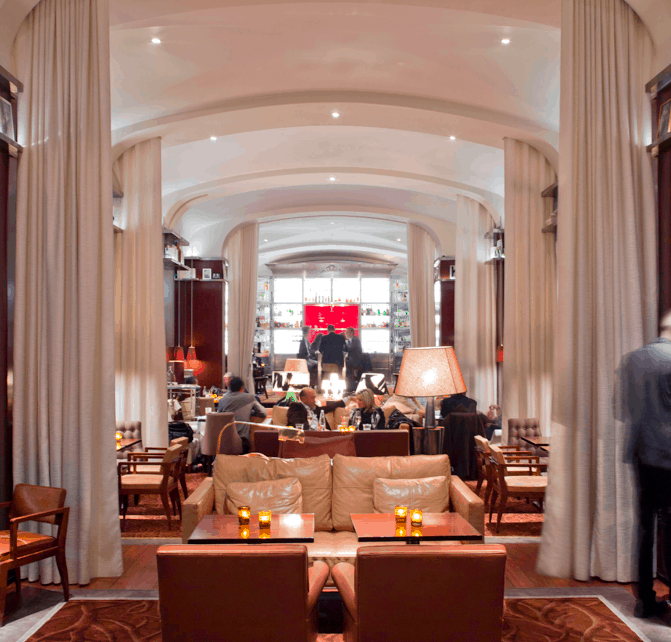 Unlike regular bars, hotel bars are usually frequented by the solo travelers that come to the city. They create a safe space for people to meet one another in before heading out into the rest of the city streets. Hotels don’t usually subscribe to usual opening hour rules. They open their bars earlier in the day which makes hotel bars the best place to start the evening festivities. Hotel bars are also generally better kept than regular city bars. They bare the name of the hotel in which they exist and therefore need to be kept up to standard at all times. 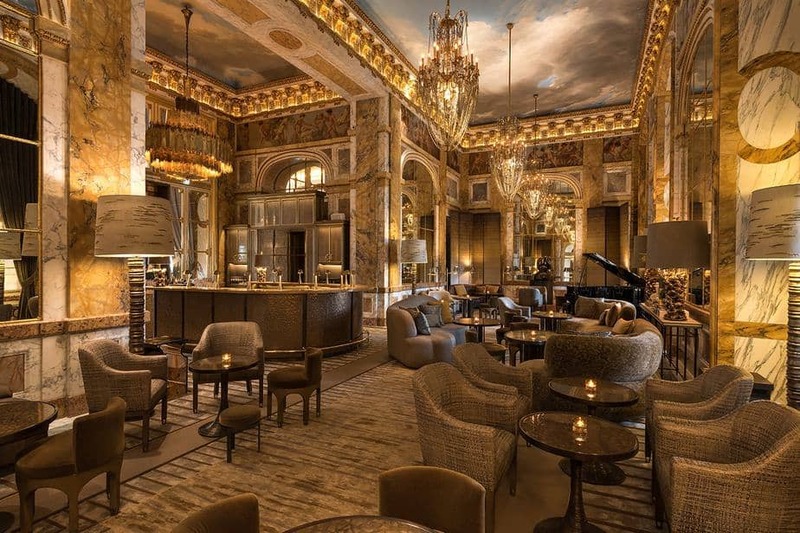 Paris has some of the best 5 star hotels in the world. That being said, the bars attached to the 4 and even 3 star hotels are equally as on trend. 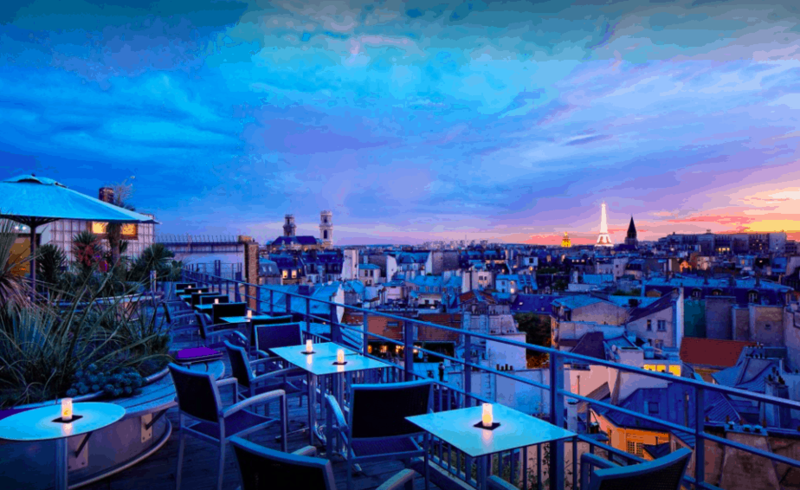 Here are 10 of the best hotel bars in Paris and where to find them! A short walk from the Arc de Triomphe and the Musée Jacquemart-André you’ll find the Royal Monceau Raffles Hotel. Their hotel bar is called Le Bar Long and is a place that interestingly enough draws in more local patrons than it does hotel guests. The bar is a fashionable and laid back environment & the perfect place for dwellers of the suburb to head to for afterwork drinks. This explains the presence of locals mixing with hotel guests. The immediate area around the hotel bar is surrounded by public swimming facilities and parks. The Salle Playel concert hall shares a block with Le Bar Long — this naturally adds to the demand of the space and on occasion you’ll have to queue for a table inside. Since the Arc de Triomphe is considered the most major public square in Paris, this neighborhood is ideal for free guided walking tours. Book in advance to avoid disappointment. You can reflect on your tour at the Bar Long afterwards over a glass of red or whiskey on the rocks! Our next bar brings us to the palatial hotel of the 1st arrondissement. 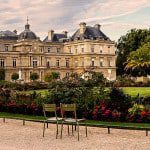 Located between the Tuileries gardens and the Jean Perrin parks, the Crillon Hotel is fit for royalty and has a hotel bar to match. 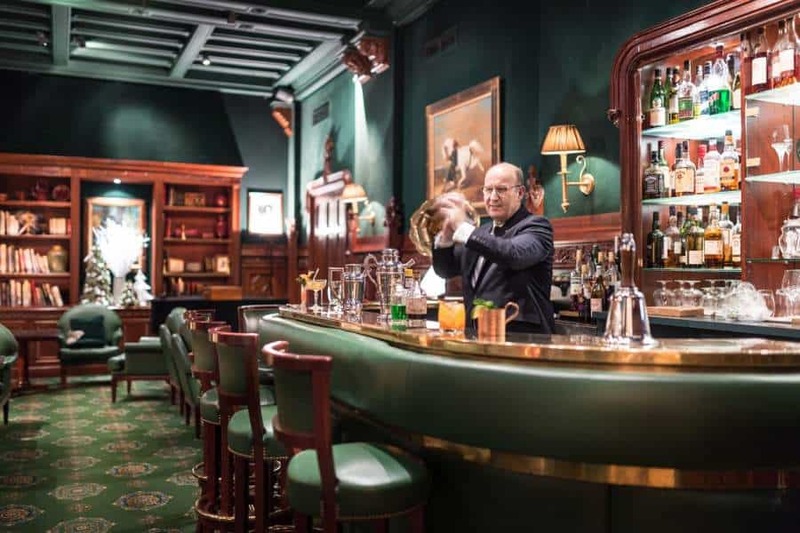 Les Ambassadeurs is admittedly one of the most beautiful bars in Paris. 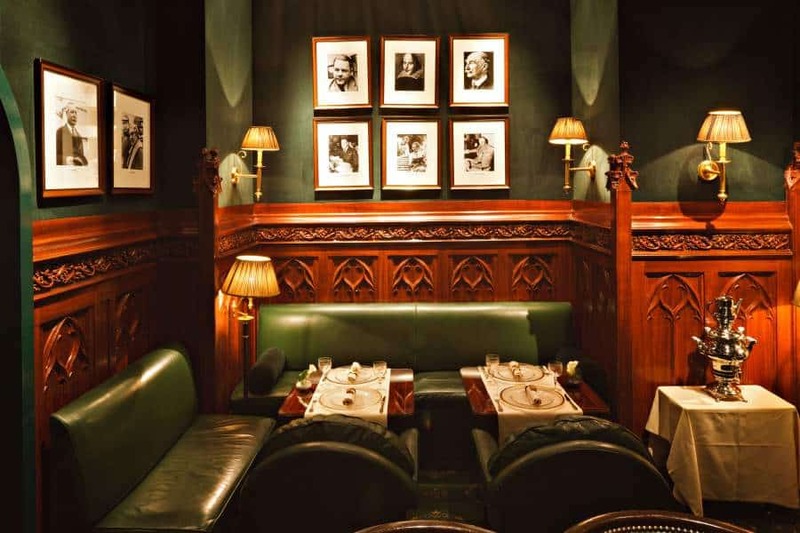 The interior resembles something out of a 1940s mob film where cartels would gather and puff cigars through the night over crystal glasses of bourbon. The bar has become popular via word of mouth on the Paris streets. So much so that this is another venue also frequented by locals as one of the preferred afterwork hangouts. Les Ambassadeurs hosts live entertainment every day. This generally begins at 7pm and goes on until 10pm. The performances range from live jazz to pianists to the occasional DJ. This hotel bar shares a block with Buddha Bar; a beautiful temple themed restaurant that brings in the crowds. This contributes a lot to the demand of Les Ambassadeurs, when the restaurant is full its a short jump straight to the bar. The hotel bar at the Westminster is quite literally like jumping into a time machine back to the United Kingdom in the 20s. The varnished wood finish next to the royal green walls and furniture is the most surprisingly unusual combination in the book — and it works! At Duke’s jazz rules the space. This is the best place to be in the winter as they make us of an old gothic-era chimney to heat the room. Guests sip on cocktails or wines while chatting quietly over the jazz melodies. This is not the kind of bar where loud ruckus is to be expected. It is a calm, relaxed space where a sense of maturity is valued, or at very least expected. Duke’s is a two minute walk away from Paris’ Olympia Music Hall. If you’ll be catching a concert here then start at the hotel bar for drinks and snacks before walking over. Shangri-La is a building worth seeing even if you are not staying at the hotel itself. Between the rooftop restaurants, bars and their state of the art spa facilities, you can lose yourself here for quite some time. Shangri-La lives in the 16th arrondissement of Paris and is known as the hotel with the best terrace view of the Eiffel Tower. 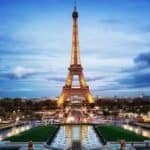 Their hotel restaurant overlooks the iconic structure and is the place to be each year on Bastille Day when the city of Paris throws their fireworks show. Le Bar Botaniste was designed by Pierre-Yves Rochon. The interior chic and Egyptian inspired. Another bar that transports you out of Paris upon entering. Shangri-La itself is a palace, so the ambiance of the bar needed to match. I enjoy Bar Botaniste’s La Vie en Rose cocktail, inspired to give ode to songwriting legend Edith Piaf. Have a drink here before either heading to the rooftop terrace for dinner or to the Eiffel Tower itself to see it sparkle by night. 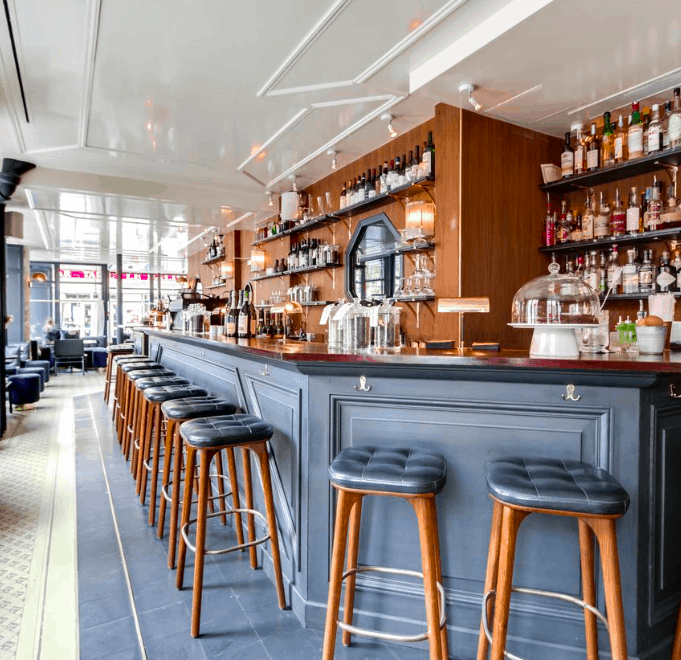 In the middle of a neighborhood dominated by theaters and auction houses, the Panache hotel bar and restaurant gives tourists a break from the bustling streets. 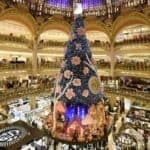 The 9th arrondissement is a busy one. It is far enough from the city centre to avoid mass crowding but still so full of attractions that the streets are almost never quiet. I can’t help but think of the Latin Quarter when I am in these parts. 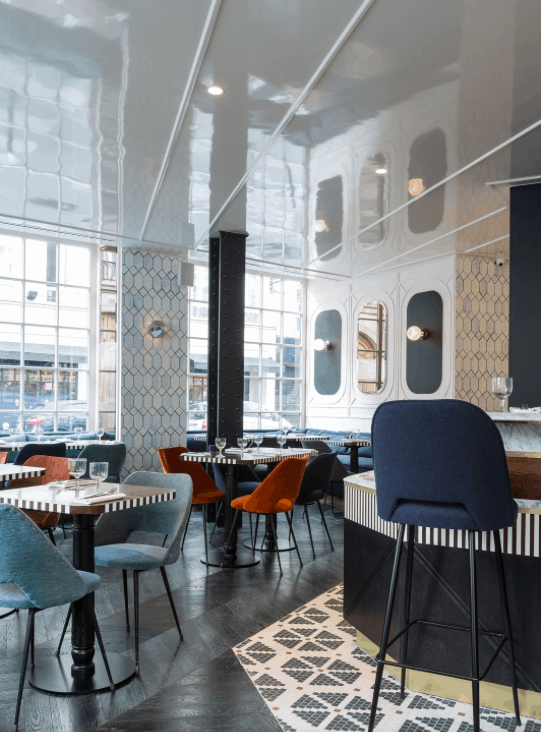 The Panache Hotel features their signature bar/restaurant hybrid. The bar area feeds into the restaurant and the modern design makes it a space worth visiting at any time of day. 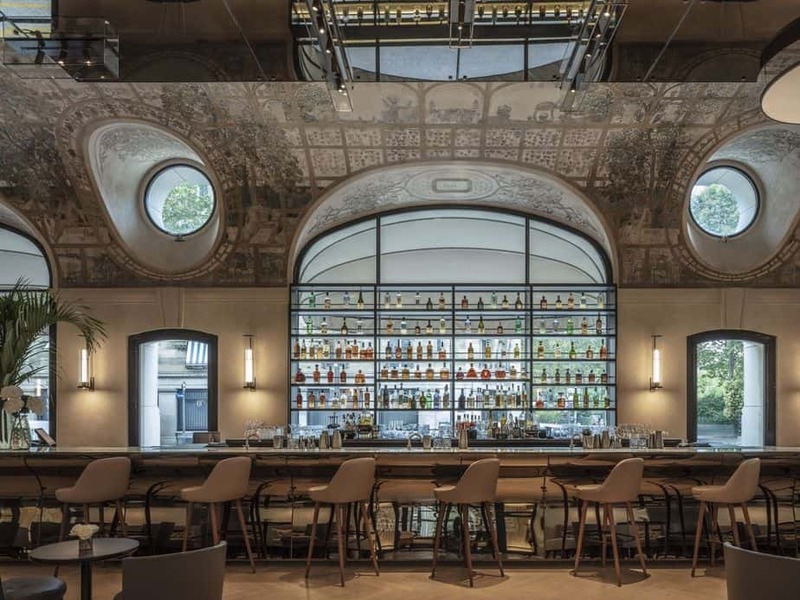 Some hotel bars in Paris offer a distinct “night time only” vibe, the Panache shifts effortlessly from brunch bistro into evening soiree for anytime enjoyment. You don’t have to be staying at the hotel to enjoy both the restaurant and bar. Visitors are welcome to stop by for food and drinks while wandering the streets of this district (Read more about Discover walking tours). 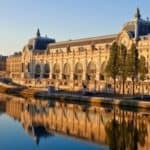 5 minutes south from the hotel is the Grevin Museum — the wax museum of Paris. It’s tons of fun for both children and adults and definitely not to be missed if you’re already on the block! Let’s move away from palace worthy hotels for a second and look at one that’s far more attainable to the general public. Le 43 is the hotel bar of the Holiday Inn in Notre Dame. 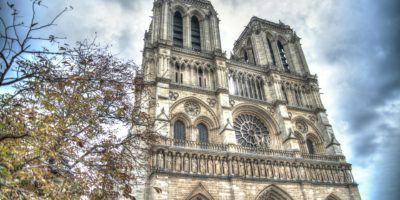 It is located a short walk from the historic attraction and you’ll be able to visit the cathedral every morning from here if you so desire. Le 43 is a laid back space with great cocktails that won’t burn a hole in your pocket by the end of the evening. What I like most about Le 43 is that in the summer time the bar moves its entirety to the top floor of the Holiday Inn and becomes Le 43 Rooftop Bar. 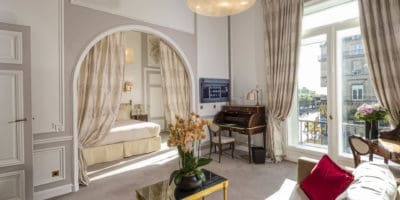 This floor boasts exceptional panoramic views of Paris included the Eiffel and Montparnasse Towers. The seating space is basic and simple. Little mind has been paid to decor because the emphasis is on the scenery surrounding the bar. This is one of my favorite bars in Paris thanks to the view and the caliber of people that hang out at Le 43; the epitome of laid back bar life. A best bar list wouldn’t be complete without at least one addition from the beloved Pigalle district of Paris. Situated at the foot of Montmartre hill, Pigalle remains the most weird and wonderful part of Paris. 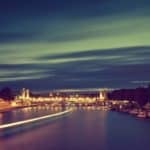 Here, nightlife reigns supreme; with most of the cities dwellers and workers only coming out after dark. This is where you’ll enjoy consistently flowing drinks, endless entertainment and the occasional peep show to tickle your fancy. The Wine Bar at the Grand Pigalle Hotel brings a Mediterranean element to the area. The bar itself is airy in the summer and cozy in the winter. The space adapts to the seasons and patrons are drawn here year round. I suppose you’re wondering how the bar got its name? The place is known for its impressive wine list comprising of hard-to-find wines from all across Italy. This is what people come here for; Italian imported wines right in the sleeze of Pigalle! The reopening of this once iconic hotel was long awaited in Paris. When it finally did, it brought with it our next hotel bar in this roundup! Bar Josephine is one of the most refreshing places I’ve visited in Paris in a long time. The space is an ode to Joséphine Baker, the French American jazz artist from the mid 1900s. The space is soft, light and beautifully jazzy — just like she was. The ambiance is the same and the bar hosts nightly jazz performances. I consider this somewhat of a hidden gem on the Left Bank. If you enjoy escaping reality and being part of a space where no one knows who you are, the Josephine’s is your spot. 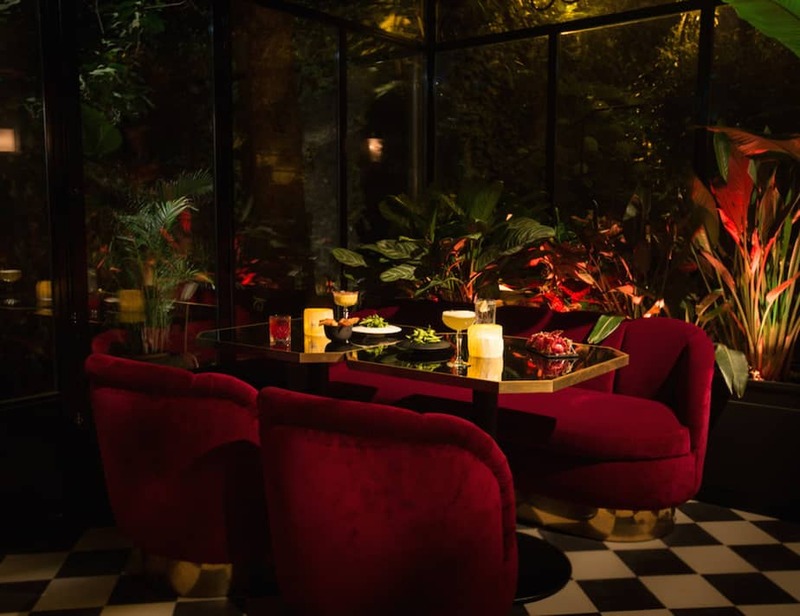 If you’re in need of somewhere to take a group of friends or a date, somewhere that will impress time with your very eclectic knowledge of Paris’ nightlife, Josephine’s is still the place! Walk here from the Seine if you can! The buildings in this area a lit by night and beautiful to see while strolling. The Hoxton is a well known 18th century building in the north of the 2nd arrondissement. Jacques’ Bar was a recent addition to the space that sought to help guests forget that they are confined in a hotel environment. The bar was inspired by the Majorelle Garden in Marrakech; the whole experience of the space is highly transportive. The building itself is over 300 years old, so the bar interior is a mix of new age design meeting very, very old infrastructure. 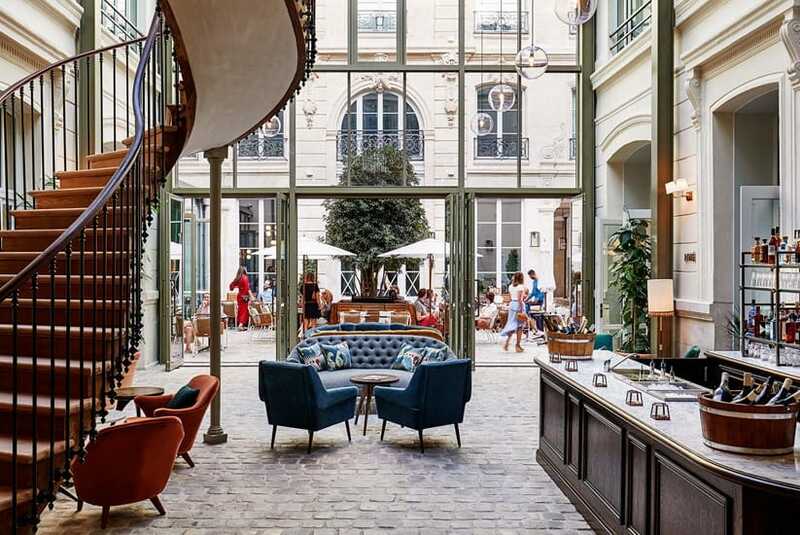 The result is highly aesthetic and despite only opening its doors in 2017, the bar is now one of the best known and most popular around Paris. It is also frequented by the Paris Instagram community thanks to its very photogenic facade. People come in and out throughout the day sometimes just to take a photograph at one of the terrace tables or full plant walls. Last but not least, my best kept secret hotel bar in all of Paris. The Très Particulier bar is the hotel bar of the Particulier Hotel tucked away in an old townhouse in the Montmartre suburbs. 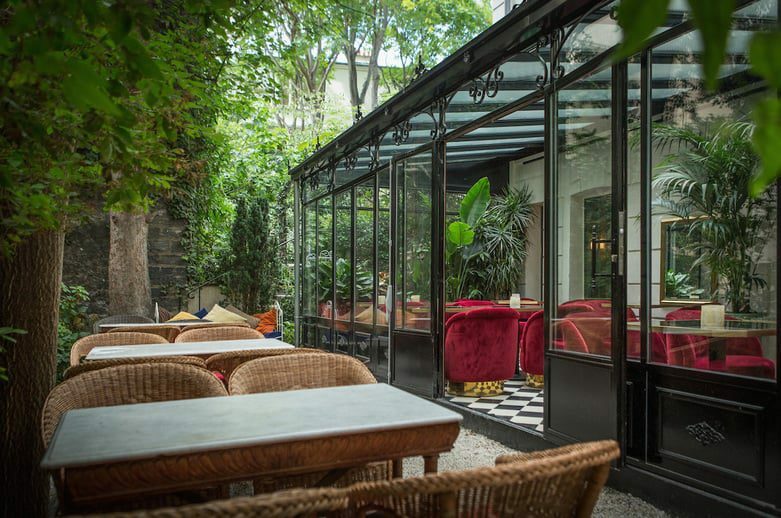 This hotel is tiny, and so well hidden behind Montmartre garden greenery that it is the preferred hotel for celebrities who visit Paris on occasion. The bar of the hotel is down the stair and deep into the garden, at the back of the property. It has been given a tropical theme while remaining distinctly French in other decorative elements. This bar is transportive in a way different to the 1920s jazz bars we looked at earlier. Instead of being transported back in time, you are transported to another part of France. Somewhere equally as charming but notably calmer and more removed. Beautiful! Hotel bars are the place to be in Paris at the moment; whether you’re a local or just visiting. I love knowing that showing up at a hotel bar means not having to worry about entertainment, because it is all provided within the space!